The Card Memorial Chapel has inspired many an artist. Here are just a few examples. 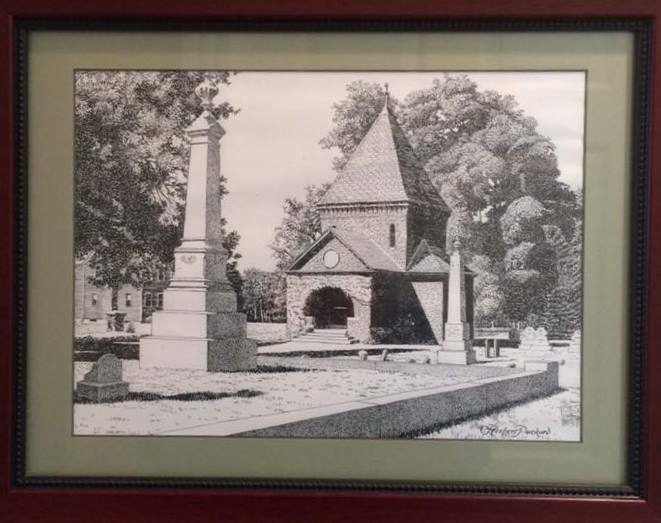 “Pen & Ink” by Herb Packard, “Oil” by James Thrasher, and “Pencil Sketch” by Unknown Artist.